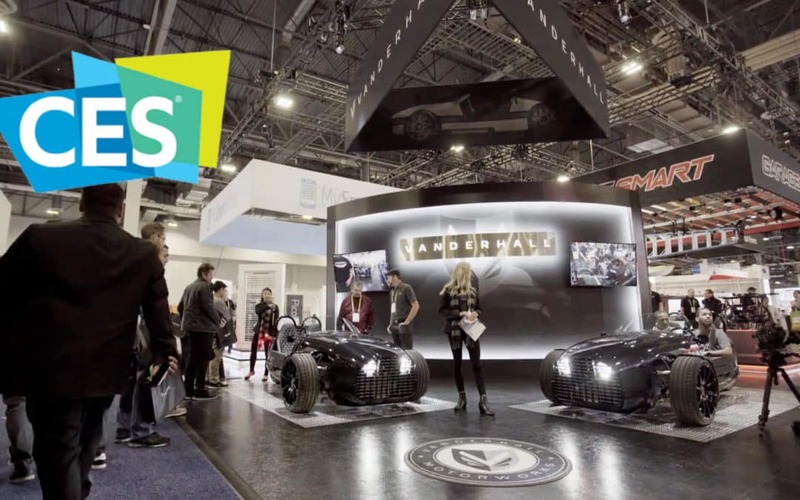 Hall Labs was proud to be a presenter at CES 2018, in Las Vegas. The crowds loved the innovative new products displayed from Vanderhall, GarageSmart, MySmartBlinds, Sure-Fi, and six of the other Hall Labs portfolio companies. Vanderhall displayed the brand-new electric Edison roadster to rave reviews. The other Hall Labs companies also showed off new products, ranging from home IoT to long range communications. One of the event highlights was TNT’s “Outside the NBA” featuring the stunning Vanderhall Edison during its CES episode. View the episode below. Check out Shaq and Kenny Smith driving the electric roadster. The Edison makes its appearance at the 9:50 mark. Special guest Mark Cuban discusses presidential politics and nerds out about CES from Las Vegas.